The San Diego California personal injury attorneys of DiMarco | Araujo | Montevideo have been there for personal injury victims for over thirty years. They have successfully represented cases for clients with the entire scope of personal injuries from tragic injuries like major auto accidents, medical malpractice and burn injuries to more common accidents that happen frequently like slip and fall injuries and fender benders. They know from experience what these type of injuries do to your life and the lives of your family. They want your trust and they want to ease your pain and maximize your recovery. Personal Injury is an overall term used for various branches of “injury situations.” We specialize in the whole range of personal injury cases. Personal Injuries can be explained as harm that is caused by another person on accident where the person did not use proper reasonable care. How to precisely define reasonable care is decided by the judge during each personal injury case using common legal sense and precedent from similar past cases. Personal injuries occur frequently and indeed another happened as you have been reading this website. They can be as a result of an injury at work, a vehicle or car accident, a defective consumer product, a medical mistake, a motorcycle accident, an accident at a facility, plant, recreational zone or place of business, a trucking accident, or a slip and fall injury. Talking or meeting with our personal injury lawyers is free and it is the effective way to find out if your specific injury and circumstances qualify as a Personal Injury. The full team of personal injury attorneys has worked hard their entire law career to ensure our clients recover, win their case and receive the maximum compensation they are due. We truly believe in protecting the legal rights of victims. We can understand that being in an accident and having to fight for your rights has been stressful and unfortunate. We want you to relax and let us help. We will put every day of our more than three decades of experience to work for you. Most personal injury victims share with us that they have felt like their life has been out of control since the injury. Paperwork, bills, appointments, rehab and complicated decisions have filled their time. Breathe Easy and Relax – we will help you. When you have suffered an injury or accident because of the wrongdoing or negligence of another person or business, the first decision you have to make (besides your medical decisions) is usually the most important: Who will you select to represent your legal rights? Ethics, experience and reputation still matter very much when evaluating attorneys and injury law firms. We’d even say that ethics matter more today than ever. The attorneys in our law firm will work masterfully your entire case so you are not a victim a second time by settling for less compensation than what you deserve. We want to give you the free chance have the ear of a San Diego personal injury lawyer, tell them about your injury (and its circumstances), ask your questions, and learn about your options and rights under the law before having to make any decisions. 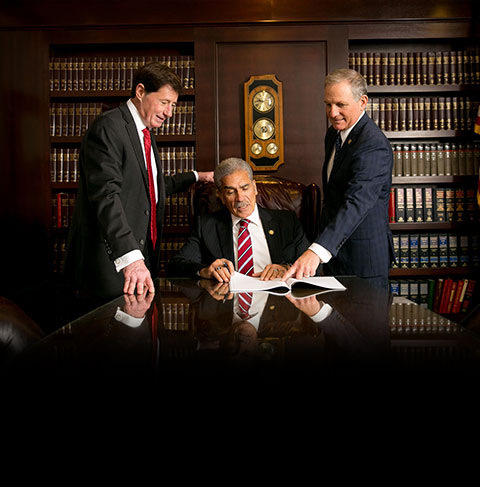 You will not be charged any legal fees or costs for our time and our assistance unless we win your injury case for you. We work on a contingency basis so you know that we are in your same corner. We hope to meet you at our law office, in the comfort of your own home or hospital room during the days of Monday through Friday between the times of 8:30am and 5:30pm. Our firm’s personal injury lawyers are also available (by appointment only) on evenings, Saturdays and Sundays. Please call us at (619) 946-6466 and thank you for reading through our website.